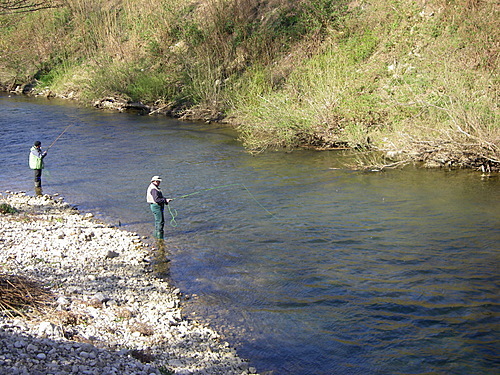 In Slovenia 1. april means the start of fly fishing season on mostly all rivers. 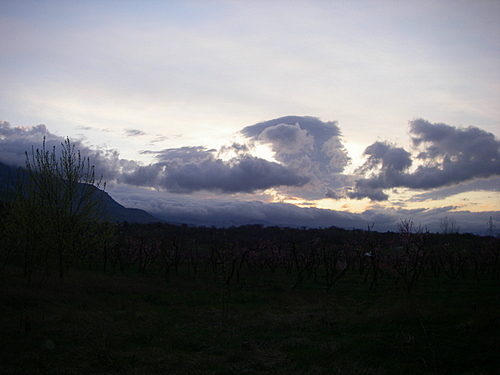 Like all years I spend this day on my Vipava river. This year I was skeptical about fishing quality because we didn´t have any considerate rain or snow and the water level was very low and the bottom was full of algae and moss. I started on sunrise and finished on midday. It was very windy and very cold and I was without a wind stopper (what a cold I have today)… Despite the cold weather I was warmed by fishes I caught. 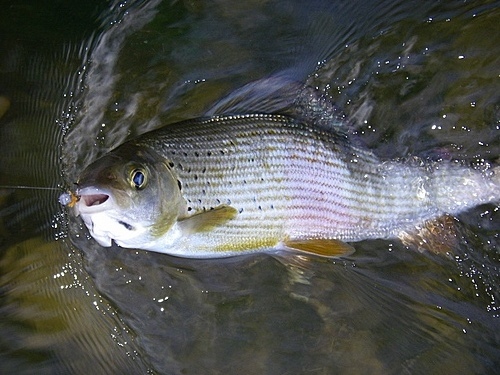 Rainbow, grayling, brown and marble trout were in my net in various number and were released as soon as possible. 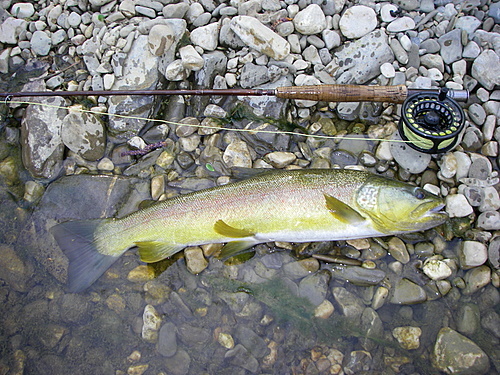 I tried to avoid to catch graylings, because they are now in spawning season. I surprised some of them (one was longer than 45 cm) but I had one bite instead. In one pool I had a fish of the day. A beautifull marble of 55 cm took my streamer and made my day complete. Full of adrenaline and memories I decided that was enough and went home.